CEBU CITY – For someone who comes from a basketball-crazy country and then transplanted to one where the sport ranked a far fifth in popularity, it’s not unusual for Malaysia national team coach Paul Advincula to feel like a fish out of water. But the optimist that he is, the Filipino mentor has risen to the challenge as he slowly whips the Malaysians into a cohesive unit following its third-place finish in the just-concluded Cebu City Mayors Cup Invitational. The respectable showing was the second in a row for Advincula and his team after a runner-up finish in the Southeast Asian Basketball Association (Seaba) Championship last month that earned them a ticket to the Fiba-Asia Men’s Championship this September in China. While he appears to have found the right formula for his team, the proud native of Tacloban who took the post in 2013, recalled how difficult it was starting from scratch. “It’s very, very challenging in the sense that there’s not a lot of Malaysians that are playing basketball. It’s a fifth-class sport. Before they go to basketball, they go to other sports first,” shared Advincula, who was once part of the coaching staff of the University of the East during the time of mentor Boyzie Zamar. Asked what challenged him most in the team’s series of tune-up games in the country, Advincula pointed to the need for the Malaysians to adjust to the Filipinos’ physical brand of game. “They (Malaysians) thought that they (Filipinos) were hurting them intentionally. I told them it’s a mind game. They are trying to make you lose your focus and that is what I want them to learn. No matter how good a player is, if he loses focus, he’s no good,” Advincula stressed. “For one, I don’t want them to be reacting. Before, during rough games, they would throw punches. I told them never to retaliate,” he continued. Following the team’s stint in the Mayor’s Cup, the Malaysians troop to Ormoc on Tuesday for an outreach program. The Malaysian national team returns home within the week, but expect no rest for the players as they get back to work at once and prepare for the Southeast Asian Games in Singapore two weeks from now. “It’s really a tough competition. We’re still bracketed with the Philippines, and Indonesia is preparing for us. It’s not going to be a walk in the park. 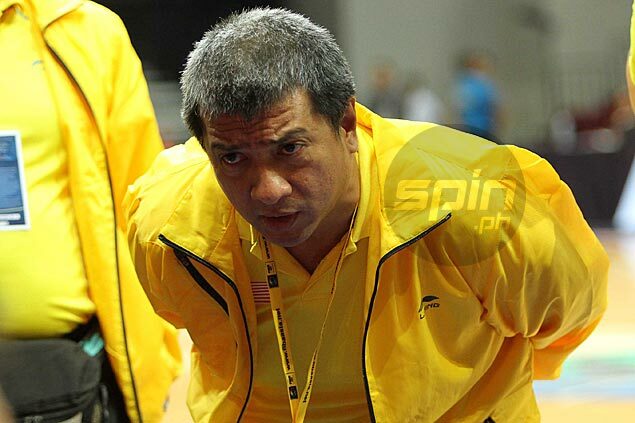 We cannot let our inconsistencies beat us,” said the Filipino coach.